Tencent’s current Internet banking business is mainly in 6 sectors: banking, insurance, payment, credit, funds and financial management. The recent agreement with Fubon Financial Holding shows that Tencent is going to take more steps into the highly competitive insurance sector, and may have planed to venture more in the future. Nothing about Wechat is a mere trifle. 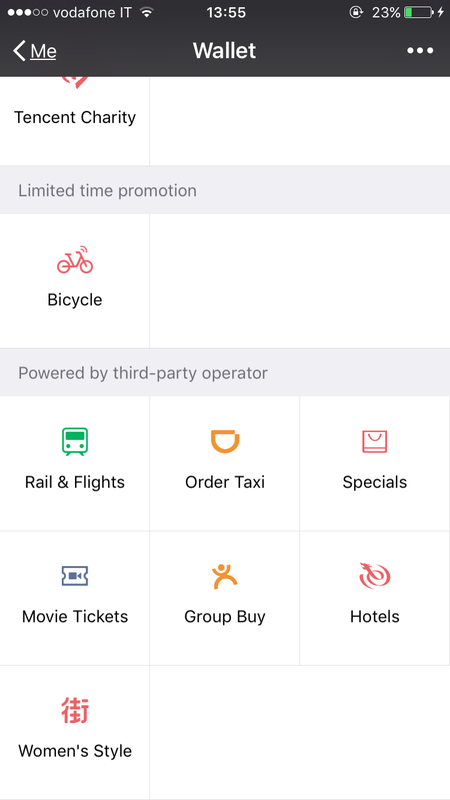 It won’t be long before the Wechat users can buy insurance with several simple clicks through the interface of Wallet. Fubon Financial Holding, one of Asia’s first-class financial institutions, has joined an agreement with Tencent to provide insurance products with its subsidiary in China, Fubon Insurance. Tencent’s current Internet banking business is mainly in 6 sectors: banking, insurance, payment, credit, funds and financial management. The recent agreement with Fubon Financial Holding shows that Tencent is going to take more steps into the highly competitive insurance sector, and may have planed to venture more in the future. In the past years, Wechat has been used as a special canal and there were successful cases. Taiping Insurance Developed two exclusive products put on WeChat platform in 2015: “love my baby” is a comprehensive accident insurance designed for 1-17 year-age children’s, while “love my parents” is for 50-70 year-old elders, each of which covers a period of up to one year, and the basic version costs only 35 yuan. As a result, the products harvested a rather satisfactory market response. It is worth mentioning that “love my parents” was one of the few products providing protection for the elderly over the age of 65 on the market, 68% of customers Have chosen “love your parents”. “love my baby” and “love my parents”, these two accident insurances, together with”love my smile” dental health insurance previously released, are designed purposely for WeChat platform. customers only need to follow “China Taiping 95589 “( official account of Taiping Life insurance), and follow the prompts to complete the purchase, the process is also very simple. In the year of 2016, there were approximately 330 million online insurance customers in China, an increase of more than 40% from the year before (Ant Financial and CNB Data). And according to consulting firm Accenture, online insurance sales will comprise 12% of the country’s insurance market by 2018. On the interface of Wechat Wallet, we may soon see a little new arrival in the cell. Creating engagement and facilitate the process of acquisition for the consumers, this act would be a long-run one, considering that on Wechat, as a social media of “acquaintances”, it takes 3 times more to acquire a new customer than to retain an existing one. So the importance of Wechat as an engagement tool will only be shown only after some time. But one the other hand, the customers’ loyalty would be inherently higher, and the attachment and engagement would increase potentially over time. Another challenge&opportunity is that, it’s also about creating a new sort of consumption habit and guide the consumers to adapt to it. And of course, we are talking about the younger generations, those born in the ’80s and ’90s. Previous Previous post: E-Commerce in rural China-A new growth driver for economy? 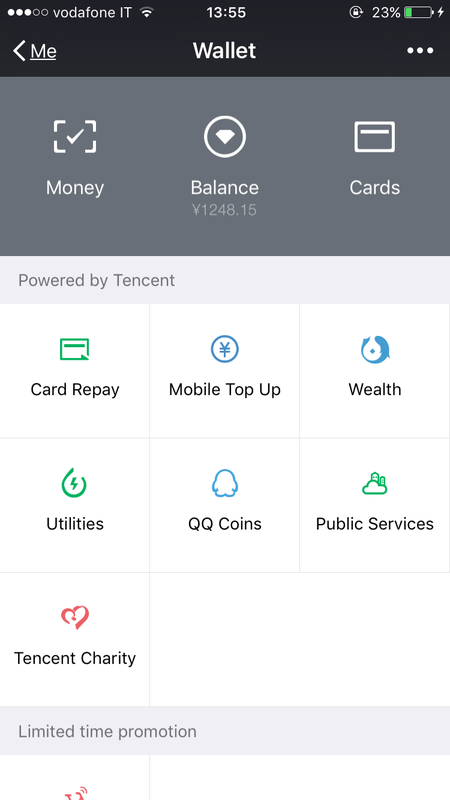 Hi Peirano, Tencent has been in collaboration with several insurance companies in the past years, and is moving a lot in this area recently. So no surprise if it happens in the second half of this year.